Click on the COUNT tab to see the examples. Scroll down to row 15 where there are some example =COUNTIF functions. 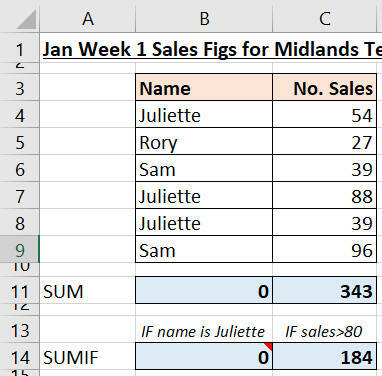 There are =SUMIF examples on the SUM sheet.